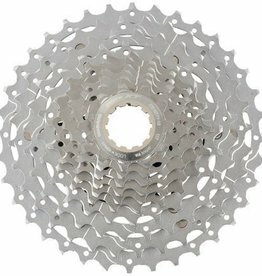 This Shimano Ultegra 6700 10-Speed Road Cassette is lightweight and durable, having been manufactured from rigid alloy. High quality 10-speed cassette from the Tiagra groupset. This Shimano XT M771 10-Speed MTB Cassette offers close ratio sprockets with Shimano's bespoke Hyperglide design.